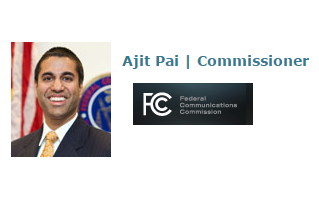 The vote proceeded despite an urgent request from the Attorney Generals of 18 states urging a delay to the vote due to a criminal investigation into possible fraudulent manipulation of the FCC's public comment process for this issue. 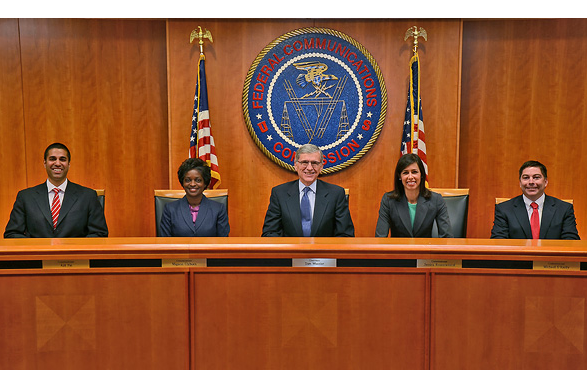 In a public letter to FCC Commissioners, the Attorney Generals said their ongoing review of the public comments process has revealed a large number of fake comment submissions using the names and identities of real people. The initial assessment is that there were over 1 million fake comments indicating a deliberate effort to skew the public comment process on an issue of national importance. The Attorney Generals are also requesting the help of the FCC in their investigation of "massive identity theft." The Federal Communications Commission voted 3-2 to adopt a new set of Open Internet rules proposed by Commissioner Wheeler and backed by the Obama Administration. All of the new rules, which are based on the FCC's authority under Title II of the Communications Act of 1934, would apply to fixed and mobile broadband alike, while leaving room for reasonable network management and its specific application to mobile and unlicensed WiFi networks. Bright Line Rules: The first three rules ban practices that are known to harm the Open Internet. No Paid Prioritization: broadband providers may not favor some lawful Internet traffic over other lawful traffic in exchange for consideration of any kind—in other words, no “fast lanes.” This rule also bans ISPs from prioritizing content and services of their affiliates. It also prohibits practices that target specific applications or classes of applications. Juniper Networks will move the codebase for OpenContrail, an open-source network virtualization platform for the cloud, to the Linux Foundation. OpenContrail is a scalable network virtualization control plane that provides feature-rich software-defined networking (SDN) and strong security. Juniper first released its Juniper Contrail products as open sourced in 2013. It has been deployed by various organizations, including cloud providers, telecom operators and enterprises. The company said that by adding OpenContrail's codebase to the Linux Foundation's networking projects will further its objective to grow the use of open source platforms in cloud ecosystems. "Juniper's focus on cloud-grade networking means delivering on the promises of open and scalable multicloud networking options. OpenContrail is a key part of that strategy. Our goal of placing OpenContrail's codebase with the Linux Foundation shows Juniper's commitment to open networking and open source overall. Over the past year, we have been working closely with the community to transition the governance for OpenContrail's codebase because we believe it has the unique opportunity to be a ubiquitous cloud-grade network fabric used everywhere. We look forward to continuing our close participation with the community once this project takes on new life under the Linux Foundation,"stated Randy Bias, vice president of technology - cloud software at Juniper Networks. Verizon Communications completed its previously announced acquisition of fiber network assets in Chicago from WideOpenWest (WOW). The price was $225 million. Verizon said the transaction secures fiber to more than 500 macro-cell wireless sites and more than 500 small-cell wireless sites in the Chicago area. After a distinguished 22-year career at Cisco, Rebecca Jacoby announced plans to retire. She currently serves as senior vice president of Operations. Cisco has appointed Irving Tan to take on the newly created role of senior vice president of Operations and Digital, responsible for leading Cisco's digital transformation across the company in partnership with Sales, Engineering and other functions. Tan currently serves as Senior Vice President of Asia Pacific and Japan. 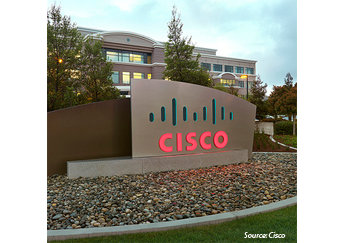 Cisco also announced that Chris Dedicoat, executive vice president of Worldwide Sales and Field Operations, has decided to leave his role at the end of Cisco's current fiscal year on July 28, 2018, and will transition to a senior advisory role to Chairman and CEO, Chuck Robbins. Gremlin, a start-up based in San Jose, California, announced $7.5 million in series A funding for its tool for deliberately injecting failure into software systems in order to proactively identify and fix unknown faults. Gremlin, which was founded by a former engineer at Amazon and Netflix, said it helps customers build more resilient system through a new engineering philosophy called chaos engineering. The new tool simulates how a system would react when encountering challenges, such as network latency, data center outages, etc. With nearly a dozen attacks and more launching soon, Gremlin recreates the most common failures across three categories: Resource, Network, and State. The Gremlin tool is delivered as a subscription-based service, with pricing based on per instance or service. The Series A funding came from Index Ventures and Amplify Partners. Oracle reported total revenues of $9.6 billion for Q2 of its fiscal 2018, up 6% compared to Q2 last year. The company posted GAAP operating income of $3.1 billion, up 1% yoy, and GAAP operating margin of 32%. Non-GAAP operating income was up 10% to $4.2 billion and non-GAAP operating margin was 44%. "Overall cloud revenue growth of 44% drove our quarterly revenue and earnings higher," said Oracle CEO, Safra Catz. "With non-GAAP Cloud SaaS Applications growth of 49% leading the way, Oracle delivered 14% non-GAAP earnings per share growth and 6% overall revenue growth. Our success in the quarter was based on the increasing scale and the gathering momentum in our cloud business. I expect the business to continue to grow and strengthen over the coming quarters." Cloud plus On-Premise Software Revenues were up 9% to $7.8 billion. Cloud Software as a Service (SaaS) revenues were up 55% to $1.1 billion. Cloud Platform as a Service (PaaS) plus Infrastructure as a Service (IaaS) revenues were up 21% to $396 million. Total Cloud Revenues were up 44% to $1.5 billion. In addition, Oracle's Board of Directors increased the authorization for share repurchases by $12 billion. The Board of Directors also declared a quarterly cash dividend of $0.19 per share of outstanding common stock.